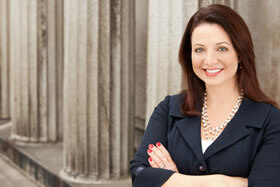 Ms. Teller joined the firm in 2001 and became a partner in December 2006. Ms. Teller represents public agencies, private applicants, and citizens’ groups in a wide variety of land use and environmental law matters. Ms. Teller handles all phases of the land use entitlement and permitting processes, from local agency administrative approvals through trial and appellate litigation. Ms. Teller’s practice includes the California Environmental Quality Act, the State Planning and Zoning Law, the Subdivision Map Act, the Williamson Act, the California Coastal Act, the California Endangered Species Act, the California Water Code provisions relating to water supplies for development, the National Environmental Policy Act, the federal Endangered Species Act, and the federal Clean Water Act provisions associated with wetlands permitting. Ms. Teller regularly teaches land use and environmental law continuing education classes and seminars for her client agencies and professional organizations such as the Association of Environmental Professionals. She served as an editor for the California Land Use & Policy Reporter from 2005 to 2008. She is currently a contributing author to the quarterly online Environmental Law Updates published by the California State Bar Environmental Law Section. Jointly representing the California High-Speed Rail Authority with the California Attorney General’s Office to defend the Authority’s environmental review for the individual project segments of the future statewide high-speed train system. The case involving the first segment between Madera and Fresno was settled in April 2013 on the eve of the hearing on the merits of the petition for writ of mandate challenging the Authority’s EIR, allowing the Authority to proceed with contracting and construction. Litigation regarding the Authority’s EIR for the Fresno to Bakersfield segment is currently pending in Sacramento County Superior Court. Successfully defended the Peninsula Corridor Joint Powers Board in litigation challenging the environmental review for the Board’s electrification and modernization project to improve the Caltrain commuter rail service on the San Francisco Peninsula. Representing the City of Los Angeles in several ongoing cases defending the City’s compliance with CEQA for various development projects. Representing landowners in Folsom and Roseville in the environmental review and subsequent implementation of specific plans for future residential and commercial development. Defended the San Mateo County Community College District in cases challenging facility improvements at the College of San Mateo. In 2016, the California Supreme Court decided in the District’s favor a key question regarding the standard of review for agency decisions to rely on CEQA’s subsequent review provisions. Defending the City of Monterey in litigation challenging the City’s CEQA compliance for its approval of a city-wide streetlight replacement project for energy efficiency. The case is pending in the Sixth District Court of Appeal. Successfully defended the City of Folsom in litigation challenging the City’s environmental review of a lakeside trail improvement project. Represented Renewable Energy Systems (RES) Americas in successfully navigating CEQA, CESA, and local land use entitlement processes to obtain a conditional use permit in November 2008 for a new 103-MW wind power project on private land in Shasta County. Ms. Teller assisted RES in developing a strong biological and cultural resources mitigation program, working cooperatively with the County of Shasta, resource agencies, and environmental and tribal interests to avoid litigation after project approval. Represented Save Our Water Resources, an unincorporated citizens association, in a successful petition for writ of mandate decided in Sacramento County Superior Court regarding the City of Orland’s CEQA compliance for approval of a new water bottling plant. California Native Plant Society v. City of Rancho Cordova (2009) 172 Cal.App.4th 603.